Your choices are spaced out in Land 0 Lakes when it comes to pizza. 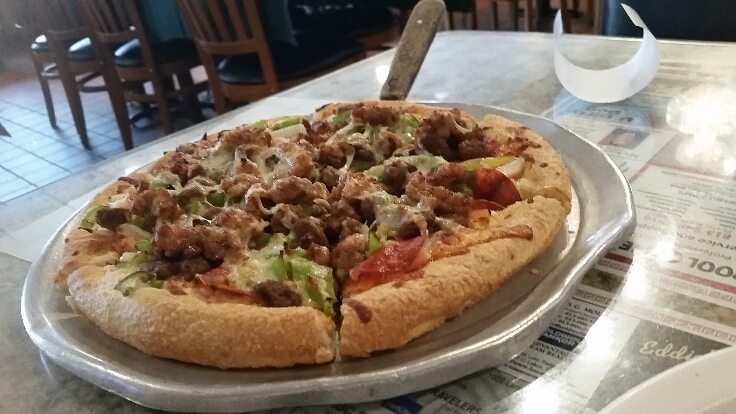 This restaurant, ABC Pizza, is located off of 41, which runs through the area. 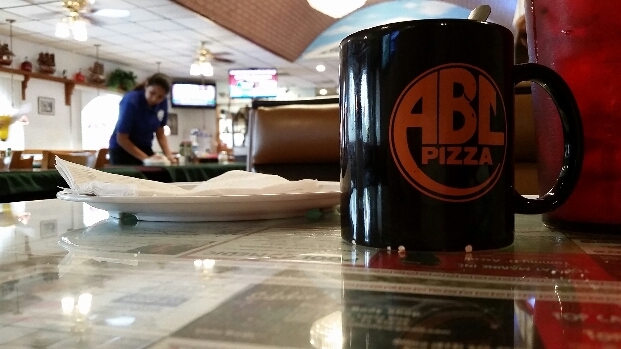 The coffee was great, and the pizza looked great, and the garlic bread with cheese was good. The pizza, pictured below, seemed to lack flavor on that day, and the sauce was very thin. The restaurant had quite a few people eating inside – the menu has a lot of choices, so if we go again, we’ll try something besides the pizza as this just seemed to lack a good pizza taste. The next nearest pizza place was Papa John’s, but that is a carry out or delivery place.